Ume Plum Concentrate is a thick paste of pressed Ume Plums without the sodium that comes from pickling. 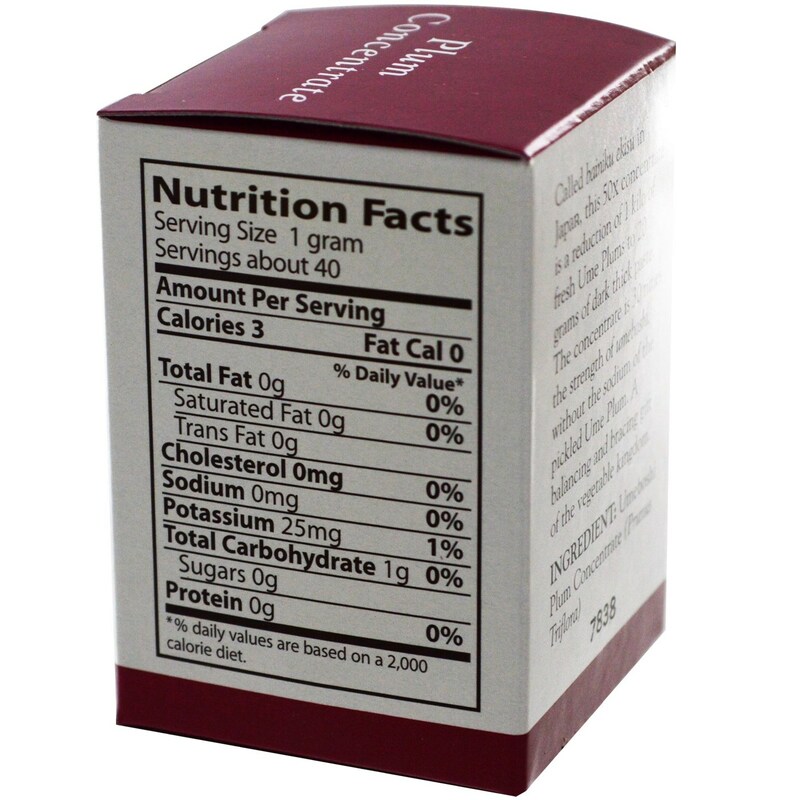 Notes: Contains no sodium, fat, wheat or gluten. 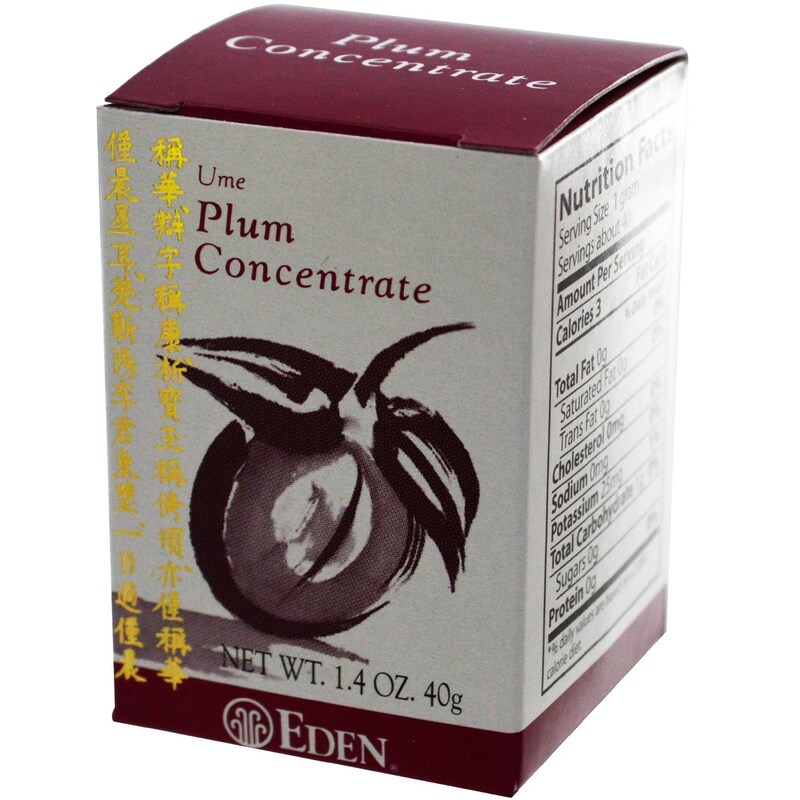 Recommended Use: Ume Plum Concentrate is quick and easy to use. Simply use the small spoon enclosed in the box to measure 1 g of concentrate. Place the concentrate in hot water or tea, stir and drink while hot. You can also add a few drops of shoyu soy sauce. It can also be taken right off the spoon.